In herbal medicine we use the ripe, dried fruits of the Aniseed herb which can grow to over half a meter in its short year of life and, in the process, produce an umbrella shaped foliage with copious amounts of tiny, unmistakably strong-flavoured and scented fruits. The U.S Dispensary of 1918 writes ' Aniseed is one of the oldest aromatics, being used by the Egyptians and cultivated in the imperial farms of Charlemagne'. 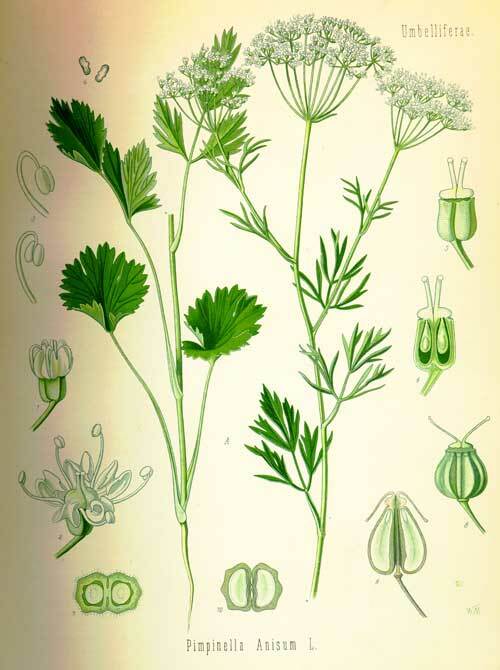 Aniseed is well known to many people as a confectionary but less well known in modern times is just how central a place Aniseed used to occupy for coughs and colds. 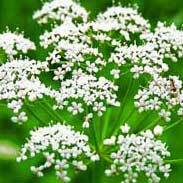 Hippocrates, the father of medicine, recommended Aniseed to help clear mucus from the respiratory system. 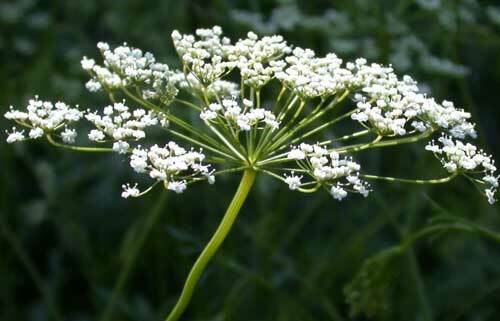 Aniseed has been used as a key treatment to ease the torments of whooping cough in infants and the eclectic physicians of the 18th and 19th century used Aniseed for nausea, gas and infant colic. Aniseed was so popular in medieval England as a spice and medicine that King Edward 1 placed a special tax on it to raise money to repair the London Bridge. The famous Greek physician Theophrastus wrote that Aniseed, when kept by one's bed at night, brought sweet dreams with its sweet aroma. The Romans cultivated Aniseed extensively for its fragrance, flavour and medicinal properties and it was a key ingredient in 'mustaceum' a cake eaten as a digestive aid during Roman feasts. Historians consider mustaceum the forerunner of the modern wedding cake. 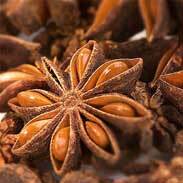 ~ Aniseed also contains substances dianethole and photoanethole, which share similar chemistry to the female hormone estrogen. Scientists suggest the presence of these substances probably accounts for the herb's traditional use as a milk promoter in nursing mothers (Tabanca, N., Khan, S. I., Bedir, E., Annavarapu, S., Willett, K., Khan, I. A., Kirimer, N., and Baser, K. H. Planta Med 2004;70(8):728-735). 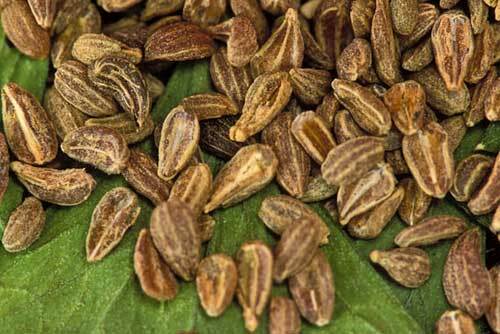 Aniseed is an extremely safe herb that may be freely used by young and old, in pregnancy and in breastfeeding. in fact, many cultures rate Aniseed as particularly beneficial for nursing mothers at both increasing the flow of milk as well as making it more digestible for the infant. Some very preliminary research suggests that Aniseed might have some estrogenic effects so theoretically, the use of large amounts of the herb might interfere with the drug Tamoxifen, or Oestrogen drugs or other contraceptive drugs through competition for estrogen receptors. That said, there is no reason to think that normal medicinal levels of Aniseed would pose any difficulties in this area. I think Aniseed can certainly be used as a medicine in its own right for congestive respiratory problems or constricted digestive complaints but I see a far broader use of Aniseed in terms of how it benefits the 'energetics' of other herbs with which it is blended and in how it opens up the 'breath'. If you have the opportunity to observe a child's breathing whilst they are asleep you will get a sense of how nature intended us to breathe; easily, slowly, deeply. In the rushing world of today most people do not breathe anywhere near as deeply or slowly as they need to but rather in a shallow, hurried and tense manner. Over many years this leads to a host of problems in the way we take in the most vital of our nutrients (oxygen), in the way our hearts function and the way we feel. 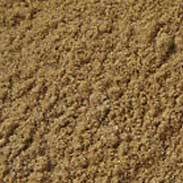 I have added a little Aniseed into my herbal formulas a great many times because a) only tiny amounts are required to improve the taste of the medicine and b) many people are too tight in their chests and in their breathing. 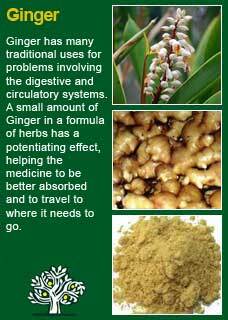 The phenomenon of Aniseed was obviously not lost on the ancients, it is a truly healing herb. However, few people today realise what a potent ally we have with these tiny seeds. I'm not suggesting that Aniseed can cure such long-held habits of tightened breathing by itself but I would certainly say that it can help and a little Aniseed goes a remarkably long way. Even just a few drops of a tincture, taken regularly, will make a noticeable difference to how people carry tension in their lungs and gut. Aniseed has a marvellous relaxing and 'opening' effect on the whole respiratory system, starting with the nose and going right down to the bottom of the lungs. If you who are reading this are studying herbal medicine or have your own reasons to want to understand this plant ally at a much deeper level, then I warmly encourage you to take a cup of Aniseed leaf tea or a small dose of its tincture and then, with a quiet and attentive mind, observe for yourself how it makes you feel. This old method of 'experiential' learning may give you a greater appreciation of the herb's 'action' than any amount of academic learning about it and I think you will be pleasantly surprised at just how certainly It will cause your breathing to deepen and your rate of respiration to slow! 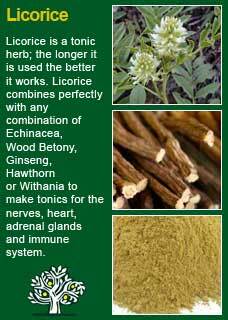 Only small amounts of Aniseed are needed to achieve strong effects. Just a quarter (5 drops) to a ml (20 drops) of the tincture, which we make as a 1:5 in 40% ethanol (from organic seed from Egypt at time of writing!) Or just one-half to one gram of the seeds in a tea that has been well covered while it brews. 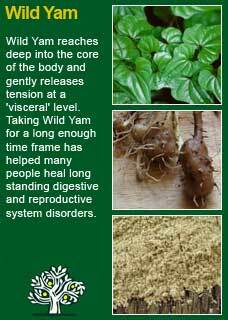 A little goes a long way and this is a herb that is better to gently nudge into the body rather than use overly large doses that might create some resistance or even aversion. Aniseed combines perfectly with Peppermint and Ginger for a person with a bloated gassy stomach and with Lobelia, Mullein, Elecampane, Licorice and White Horehound for coughs, respiratory congestion and constriction. Some sample formulas to show these combinations in 'action', so to speak are just below. To make 50 mls. Bearing in mind that these would be tinctures that we make in our clinic, therefore herbal extracts from other companies or practitioners might have a different range, the dose I would give for a sure action to release spasm or tension in the gut, or to relieve nausea, bloating etc, would be 5-10 drops for a child and 15-20 drops for an adult. Diluted if needed or taken straight if preferred and used as freely and frequently as needed to achieve a rapid relief of the symptoms. To make between 200 and 210 mls depending on the amount of Lobelia. Less Lobelia for a child or a sensitive person, more for an adult or someone with a more robust system. 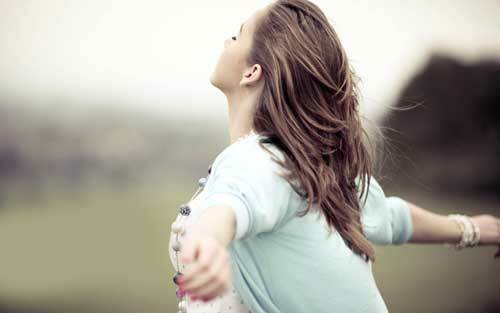 To ease coughs, congested lungs, difficulty breathing etc. this formula could be given from 2 to 5 mls up to 4 or 5 times a day depending on the age and severity of the condition. Expect more coughing at first, and more cleansing of the lungs, followed by easier breathing and significant relief if it is being used often enough. Much of the information here about the traditional uses of Aniseed is consistent with the model of thinking whereby one may treat problem A with plant B. There is value in this approach, especially in how it helps us pass on useful knowledge to one another, but it falls short in one vital area; and that is that people are not all cut from the same cloth! Something that works brilliantly for one person may do less for another -- why is this?